Pittsburgh, PA - Calytrix Technologies and TerraSim, Inc. announced today the availability of a new terrain for the Unity game engine, as an addition to its set of free, correlated terrain databases for distributed simulations. This expanded offering of terrain databases represents TerraSim and Calytrix's continued dedication to supporting the largest number of third-party runtimes for the Military, Simulation, and Training (MS&T) industry. created in TerraTools for OneSAF 6.0"
TerraSim's Unity plug-in pushes the bounds of how 3D environments can be used in the Unity game engine for modeling and simulation. This new TerraTools® optional plug-in provides customers with the ability to directly import complex geospatial databases into the Unity runtime. 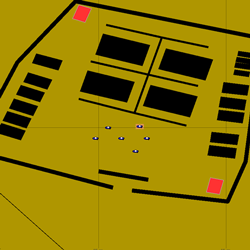 It also enables support for coordinate system information and large area environments within the Unity game engine. Calytrix has taken advantage of these new features to provide streamlined Unity support in its Live, Virtual and Constructive (LVC) Game product for Unity, a software developer's kit (SDK) that enables Unity-based applications to participate in distributed environments based on Distributed Interactive Simulation (DIS) or High Level Architecture (HLA) networking. 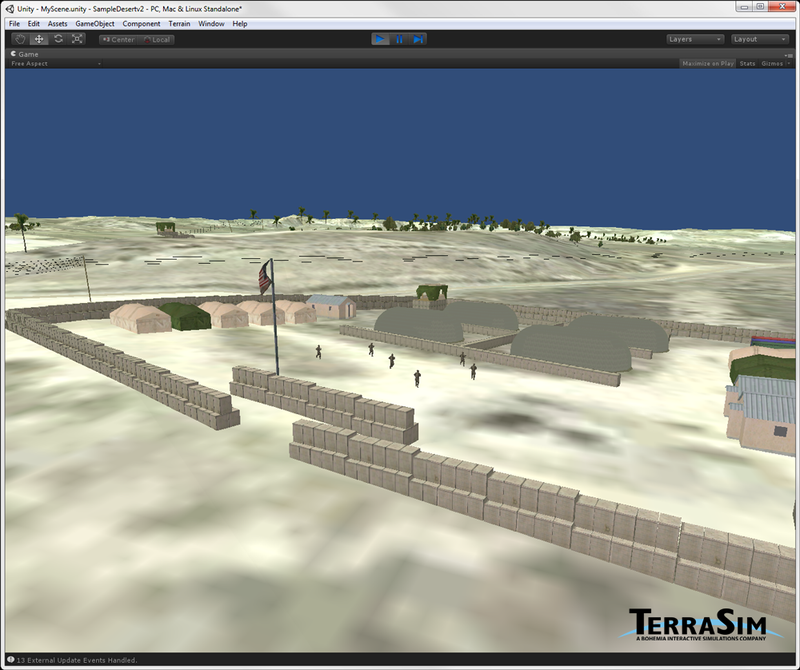 To demonstrate both the level of correlation and fidelity, TerraSim and Calytrix are offering the Unity export for "Sample Desert Village" as one of a set of 16 correlated runtime formats available by request on Calytrix's website. 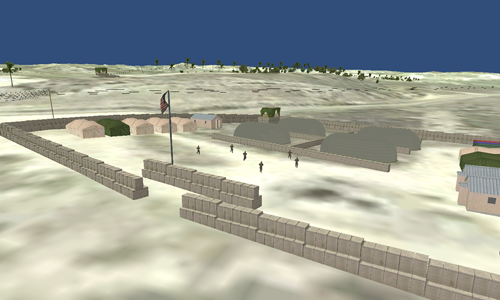 Using LVC Game for Unity with "Sample Desert Village", Unity developers can build and test applications that integrate into distributed Live, Virtual and Constructive (LVC) environments. The "Sample Desert Village" set of terrain databases were generated by TerraTools from geospatial source data, including orthophoto imagery, digital elevation data, attributed vector data, and 3D models. 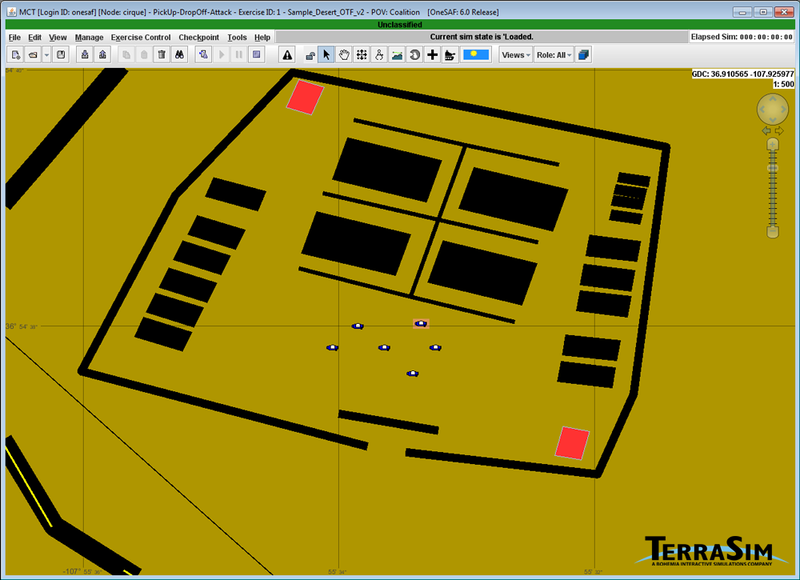 TerraTools creates a common terrain representation and exports the correlated result to each runtime format in the set. 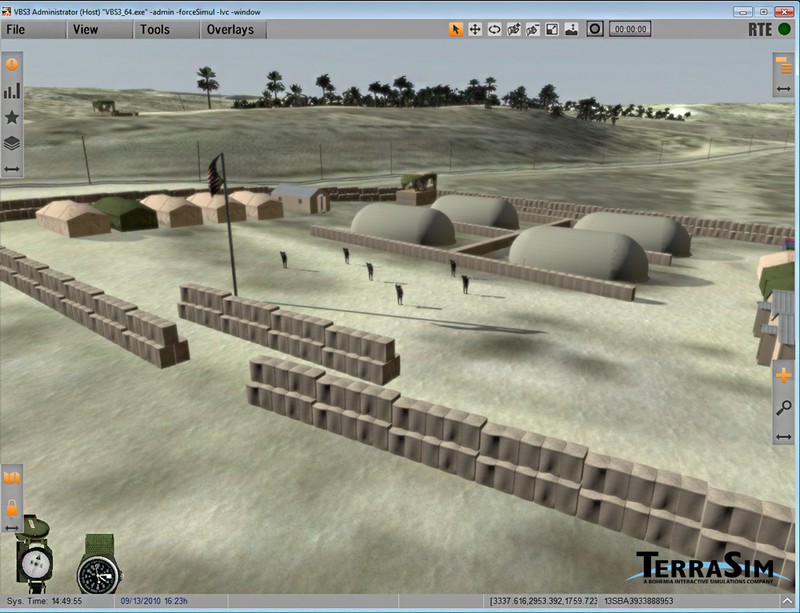 The terrain databases are ready for testing in LVC distributed simulations, such as those linked together by Calytrix's LVC Game interconnectivity software. The Unity "Sample Desert Village" terrain is a 5km x 5km, feature-rich terrain, suitable for supporting rigorous distributed simulation tests for database content and cross runtime correlation. "Sample Desert Village" contains a variety of complex features, such as parametrically generated buildings with interiors, walled compounds, utility lines, automatically placed 3D models, vegetation of various types, and paved and unpaved roads. Visit TerraSim's website for more information about TerraSim and TerraTools and Calytrix's website for more information about Calytrix and LVC Game. Calytrix Technologies develops and delivers training products and services for training of the modern warfighter. Calytrix provides products and services in the areas of Live, Virtual, and Constructive (LVC) interoperability, application of serious games, simulation of military radios and intercoms, simulation cost analysis, and planning and conduct of training exercises. 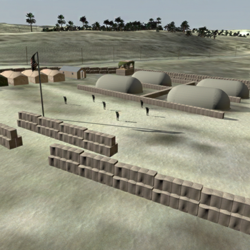 Uniquely combining Live, Virtual and Constructive environments with military understanding, Calytrix enhances operational readiness and training. For more information, visit www.calytrix.com.